Invincible, a classic fish-out-of-water drama that probes the north-south divide, is transferring after proving a smash hit with the well-to-do of leafy Richmond. Torben Betts’ sharply observed comedy of bad manners is moving into St James Theatre after playing to critical and commercial acclaim at the intimate off-West End venue of the Orange Tree Theatre. A scheme to encourage a wider audience will see 300 seats sold at just £10 a head. The production will run at the Palace Street venue from Thursday 10 July to Saturday 09 August. The recession is biting hard and so Emily and Oliver have decided to downsize and shift their middle-class London lifestyle to a small town in the north of England. They want to live, work and to raise their two young children in a friendly community, among what Emily terms ‘real people’, away from the cold anonymity of the city. So these left leaning, well educated people have invited over two of their neighbours in an attempt to break the ice. Tonight Alan and Dawn are to be offered olives, anchovies and are to be introduced to Karl Marx and abstract art. As classes and outlooks collide, the scene is set for a meeting which will have consequences as hilarious as they are tragic. 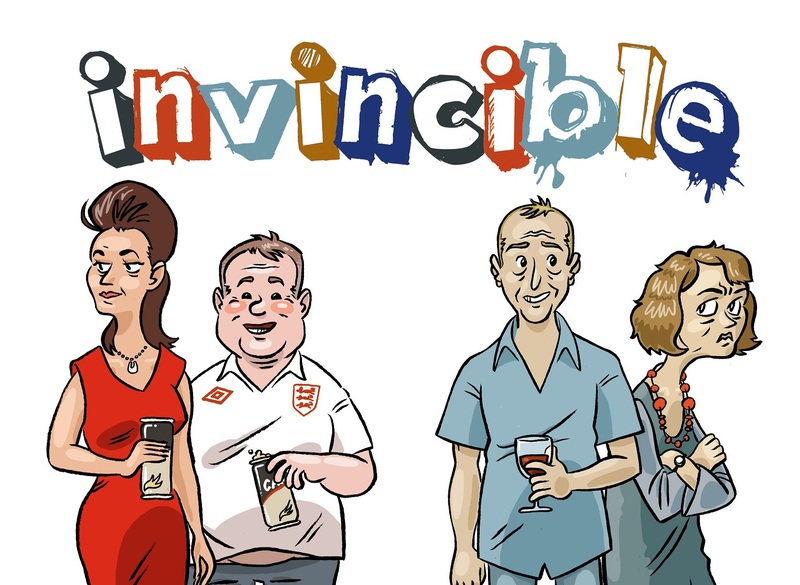 Invincible, directed by Ellie Jones, stars Daniel Copeland as Alan, Laura Howard (Emily), Samantha Seager (Dawn) and Darren Strange as Oliver. A spokesman for St James said: “To reach a broader audience, particularly young people and those who cannot normally afford to attend London theatre, St. James Theatre Productions are pleased to announce that 300 £10 seats will be available across the run. “While a number of these £10 seats will be available to buy in advance, some will be available at the box office at 10am on the day of the performance”.